Budapest's Castle District is an upscale and quiet part of the city full of sightseeing treasures, great views, and cozy bistros to while the evenings away. 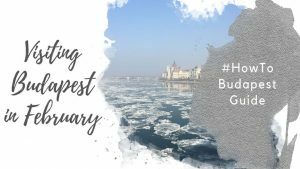 For mature travelers, families with kids, and anyone looking for a quiet trip, the Castle District is one of the best areas to stay in Budapest. 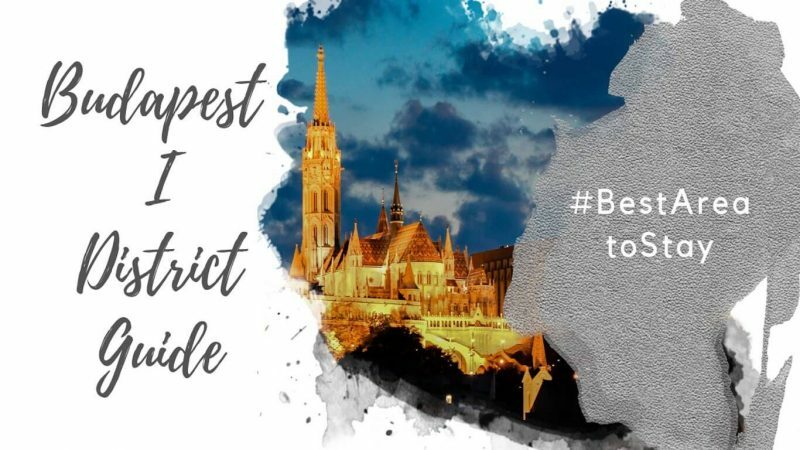 Budapest I is the only district in Buda (as opposed to Pest) that we’ve included in this list. 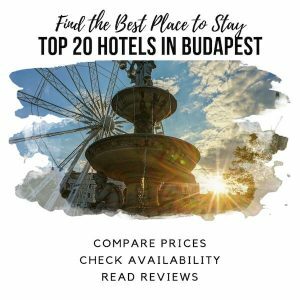 As Budapest’s downtown, Pest is generally the most convenient area to stay in Budapest. Buda is typically quieter, and more residential. It’s a great area for residents, but not as convenient for tourists. Budapest’s Castle District in Budapest I, however, is the exception to this rule. The Castle District is an upscale and quiet part of the city. It’s full of sightseeing treasures, great views, and cozy bistros to while the evenings away. 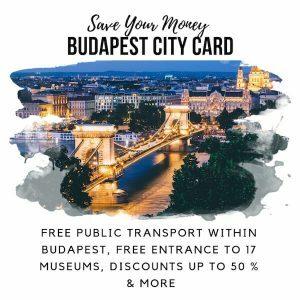 Add these factors together, and it’s easy to see why the Castle District is one of the best places to stay in Budapest for tourists! Especially those tourists looking for a relaxed and quiet holiday. The Castle District sits atop Castle Hill. Here you’ll find Budapest Castle (hence the name – duh! ), Fisherman’s Bastion, and Matthias Church. There are also a few minor attractions worth your time, such as the changing of the guard and the unique and fun Castle Hill funicular. The Castle District also provides great views of Budapest’s most famous bridge: the Chain Bridge! Gellért Hill and the Liberty Statue sit south of the Castle District. They are part of Budapest’s 1st District, but they aren’t part of the Castle District. They have great views over the city – this spot is particularly spectacular at sunset! 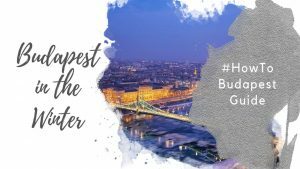 Where Is Budapest I - The Budapest Castle District? The First District runs along the west bank of the Danube. It stretches from roughly Batthyány tér in the north to Gellert Hill in the south. Budapest Castle District is a small section of Budapest’s 1st District. It’s the section of the district atop Castle Hill. Along with the Parliament and Chain Bridge, Budapest Castle is one Budapest’s most popular attractions. 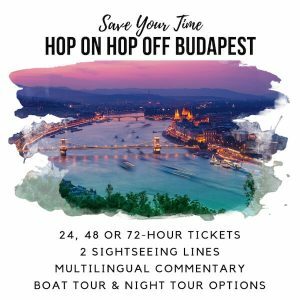 It’s an impressive figure in Buda’s skyline, and you can catch great views of it from across the river in Pest or high atop Gellert Hill. Despite looking impressively regal from afar, it’s actually pretty plain when you look up close. During WWII, Buda Castle took some big hits, lying in ruins by the close of the war. And then the communists took over. While the communist government wasn’t keen to rebuild the city’s most overt symbol of a dynastic past, the people wanted their castle back. Thus, the government chose to rebuild it as what, these days, we’d call a minimum viable product. The rebuilt castle lacks in the kinds of embellishments and flourishes you might expect from an imperial palace. While it’s still pretty, and the Castle grounds are nice for a wander, it’s worth setting some expectations. If you’re looking for a grand royal palace like what you find in Vienna, or Sintra, Buda Castle is not it. That said, it’s certainly worth enjoying for what it is! Read our guide to visiting Buda Castle here. Fisherman’s Bastion is the birthday-cake looking structure near Matthias Church. It’s not ancient, but what it lacks for in historical legitimacy, it makes up for in aesthetic value. The main attraction at Fisherman’s Bastion is the view of the Danube and Pest. From here, you’ll get spectacular views of the Parliament and St. Stephen’s Basilica. The architecture of Fisherman’s Bastion makes it a beautiful spot for photos. The structure itself provides lovely framing and detail, adding interest to your snaps. Read our Fisherman’s Bastion travel guide here. Matthias church sits on Szentháromság tér in the heart of the Castle District. It’s in front of Fisherman’s Bastion and beside the Hilton Budapest Hotel. Arriving at Szentháromság tér, there’s little chance you’ll miss Matthias Church. Tall and elegant, the tiled roof stands out and pops against the Budapest sky, even on the dullest day. Enjoy it from the outside, visit the ornate interior, or climb the church tower! Read our Matthias Church guide here. A little known fact about Budapest relates to what lies underneath the city’s streets: a system of urban caves. These days, the caves attract visitors for their uniqueness. During WWII, however, they served a more practical purpose. Hungarians used the caves as both a shelter and a makeshift hospital during the war. The Hospital in the Rock lets you visit the former cave hospital, and learn stories about its role in the war. BBC has a great piece about the hospital, here. Requiring a bit of effort to get here, you’ll thank us when you see the view. Gellert Hill has one of the most beautiful vistas in Budapest. In one look, you’ll enjoy views of Budapest’s bridges, river, parliament, and cityscape. The most scenic way to the top of the hill is on your own two feet (however, you can also take public transit). If you decide to walk, we suggest starting from the Gellert Hotel and baths. Follow the pathway up the hill. It takes about 20 minutes to the top, and is fairly sweaty work. Gellert Hill is particularly nice around sunset! The Castle District has made some attempts at branding itself as Budapest’s gastronomic quarter, although this feels like a stretch to us. That said, there are some great places to eat. 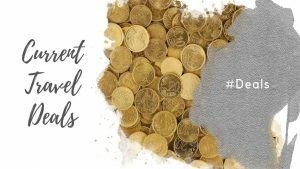 Below we’ve listed a few options – although this is far from a comprehensive list! Touristy? Absolutely! Worth it? Absolutely! Started in 1827 in the same location it stands today, this place has a ‘stepping back in time’ feel to it; the kind of café in which your great-grandparents might have hung out during their day. Setting the cozy ambiance aside, Ruszwurm is famous for its traditional cakes, including its version of the Hungarian krémes (cream cake) and the layered dobos torte. Lacking in the international hipster aesthetic you’ll find over in Pest, this place has a ‘down home’ vibe to it. Not exactly cozy on the inside, it’s still worth a stop in for lunch or a coffee and cake while exploring the castle district. An upscale dining experience in a beautiful setting, Pierrot is located in a 13th-century bakery house, and has a lovely terrace/garden when the weather is nice. They have live music, and offer a mix of Hungarian classics and international foods, with a good wine list with a focus on Hungarian wines. Attached to the boutique hotel of the same name, the Pest-Buda Bistro has a classic Hungarian bistro feel, with updated branding. Most of the menu is filled with Hungarian classics, making this a great bet when you’re looking for something hearty. In nice weather, they have a sidewalk terrace to enjoy as well. We’ve yet to go here, but it’s on our list for the next time we have out of town visitors. Worth noting, the reviews aren’t great, and we wouldn’t recommend you go for the food. Instead, this is a place to go for a glass of prosecco, cold lemonade or beer, or a coffee after exploring the castle grounds. What makes it worth visiting are the views over Pest, right from within the Castle grounds. If you want one of the best tables, it’s probably worth making a reservation. The First is a beautiful but quiet district. In general, this part of Budapest is upscale, so it’s best suited to those with larger budgets, rather than travellers looking for a deal. The Castle District is best for mature travellers and families with young kids. If you want a quiet area to begin and end your days, you might appreciate the Castle District’s peacefulness. If, however, you love being in the thick of things, keep looking. Those who want a lively nightlife will likely be disappointed with the Castle District. If it’s nightlife you’re after, you’d be better off in Budapest 6 or the Jewish Quarter. 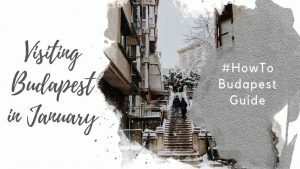 One of the most beautiful areas of Budapest to stay – quiet, quaint, and romantic! Most tourists who stay in Budapest I choose to stay atop Castle Hill. While this is a spectacular part of the city in which to stay, it’s somewhat less connected to public transport than other parts of the city. That said, it’s still possible to get around easily – if you know how! Public transit atop Castle Hill is limited to buses. Bus #16 will be your lifeline. 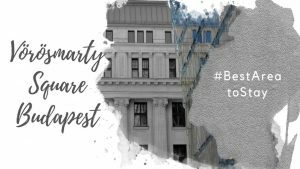 If you’re heading to downtown Budapest, take #16 in the direction of Deák Ferenc tér. This is a public transit hub, and the spot where Budapest V, VI, and VII all meet. In the other direction, Bus #16 goes to Széll Kálmán tér in Buda. This is another a transport hub that connects to Trams #4 and #6 and the M2 (red). For general tourism, the only reason to go to Széll Kálmán tér is to connect to Trams #4 or #6 to Margaret Island. Bus #16A will also take you to Széll Kálmán tér (but it doesn’t go to Deák Ferenc tér). Another option is to walk down Castle Hill to Batthyány tér, which sits on the M2 (red) metro line. This is about a 20-minute walk. Distances listed are from Szentháromság tér / Fisherman’s Bastion to other major attractions in Budapest. Times are approximate, and transit times depend on traffic. Chain Bridge: 10 minute walk down Castle Hill, and about the same on Bus #16 to Clark Adam Square at the west end of the bridge. You can also take the Castle funicular to Clark Adam Square, although this isn’t included in the public transit system. Hungarian Parliament Building: 15- to 20-minutes on public transit. You can either walk to Batthyány tér and take the M2 1 stop, or take Bus #16 to Deák Ferenc tér and switch to the M2. Heroes’ Square & Széchenyi Baths: 30 minutes on Bus #105, or via Bus #16 and M1. Dohany Great Synagogue: 25-minutes on bus #16, including a short walk. Great Market Hall: 25 minutes by bus (#16) followed by tram (#2).